It just gets a block or two added every week betwixt and between all the other stuffage I’ve been keeping busy with. It’s also larger now than I have a space in my house for taking pictures. So until I can hang it over the deck railing in the warmer months, the best I can do is unfurl it down my stairs and shoot it from above. We joked back here about being half done by Christmas. Surprise! It’s February and I am still only a 1/3 of the way finished. I’m shooting for next Christmas now. It’s going to be huge! Clever idea about photographing on the stairs. Love all those colours. Looking good! It’s going to be beautiful! 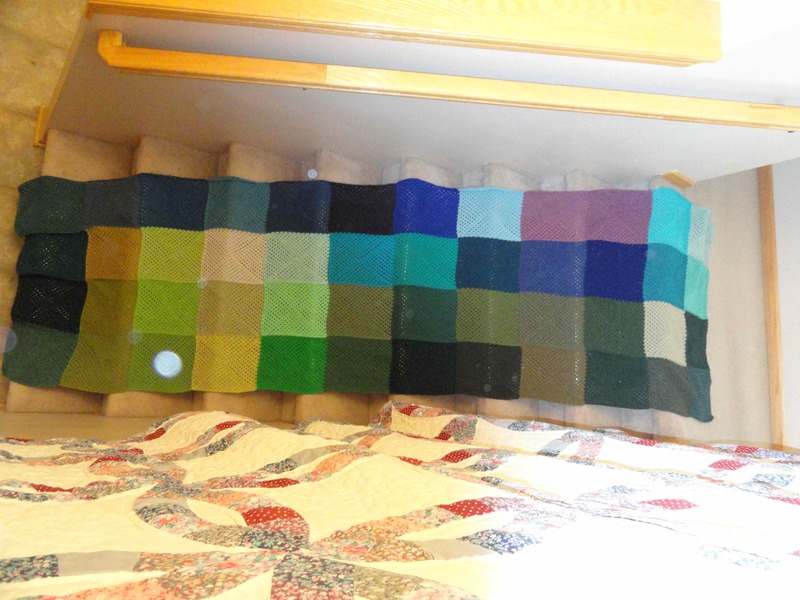 Or, you could call it a stair runner. Ta dah! You’re already done!